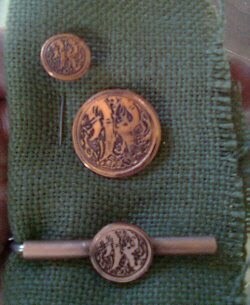 A small Dutch publishing house called "De Roodkoperen Knoop" (The Copper Button) asked me to produce a real life set of copper buttons and other accessories. 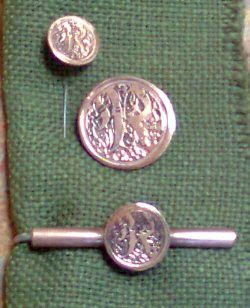 I made a tie pin, a lapel pin and a button. All have the same R as a logo, and all are made of copper (of course).